One of my favorite and unique steak dinners of all time was at this restaurant called Acqua Al 2, in Florence, Italy. Acqua Al 2 is known for its many cuts of beef, specifically their balsamic and blueberry glazed filet mignon. Luckily I was able to try both famous variations in a single dish. 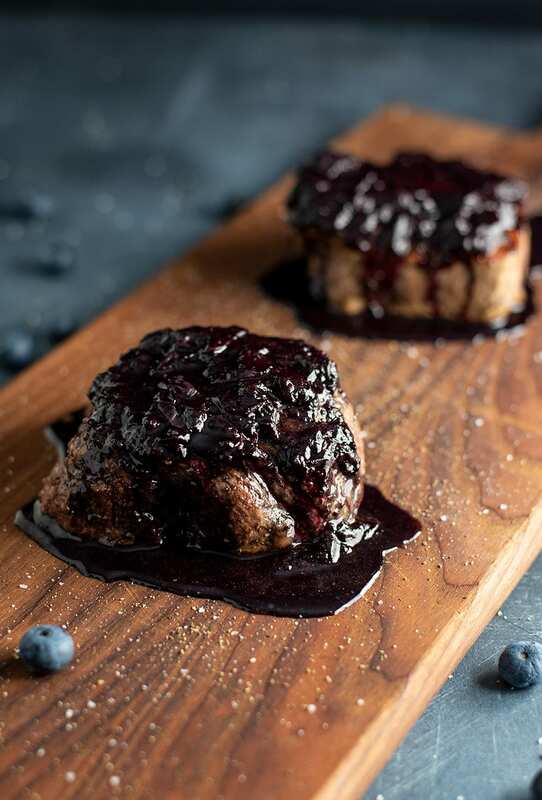 I ordered two petite filets, one covered in a thick balsamic-heavy red wine sauce and the other, a sweeter blueberry reduction. At first I was really skeptical. 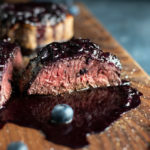 Blueberry on steak? Sounds mismatched, but it actually complements the salty steak beautifully. In fact, covering your filet in a sweeter sauce actually seems to bring out the filet’s flavor more in contrast. After some trial and error, I’ve come up with my own rendition of both steaks. You can find the balsamic variation here if you’re curious. 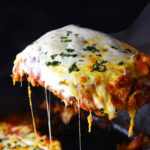 You could very easily replicate the entire dish by preparing two separate reductions. 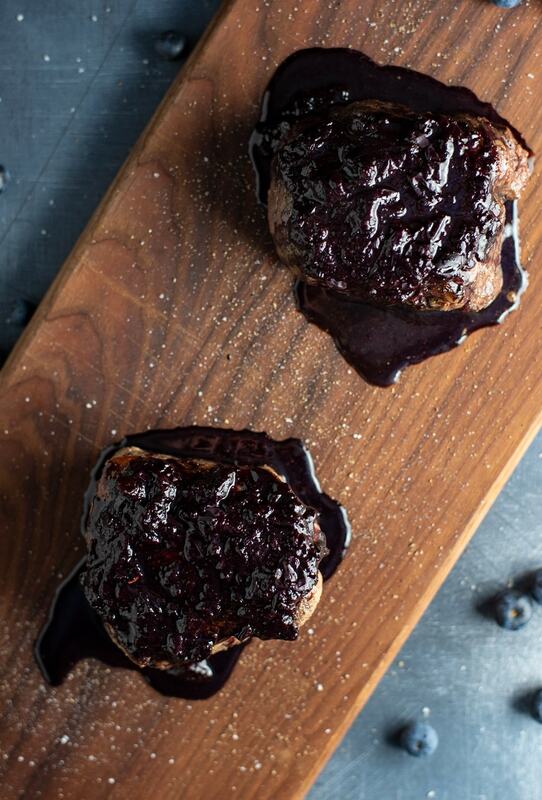 The blueberry glaze consists of freshly mashed blueberries, red wine (Chianti of course), brown sugar, garlic, salt, and pepper. The red wine is really needed to give the sauce better consistency. You’d have a really difficult time reducing the blueberries without a base liquid’s help. I’ve tried with balsamic vinaigrette, but it tends to overpower the blueberries—Chianti is the perfect happy medium. 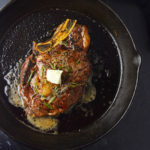 Add the 2 tablespoons of butter to an oven safe cast iron skillet and turn up high, allow the skillet to become very hot first. 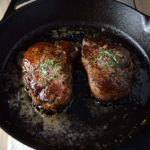 Once the butter melts, place the filets face down and sear undisturbed for 2 minutes. Flip the filets and sear for an additional 2 minutes. 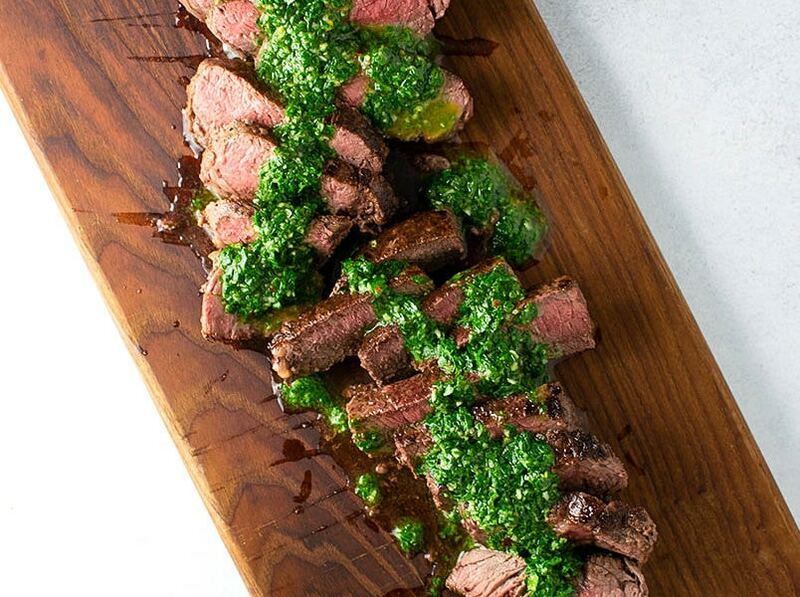 This will give your filets a nice seared edge. Meanwhile, combine all blueberry glaze ingredients in a small saucepan (I use a potato masher to crush the blueberries, breaking the skins). Simmer on medium-high heat, whisking occasionally until mixture reduces by half and slightly thickens, about 10-12 minutes. Remove from heat and let rest. 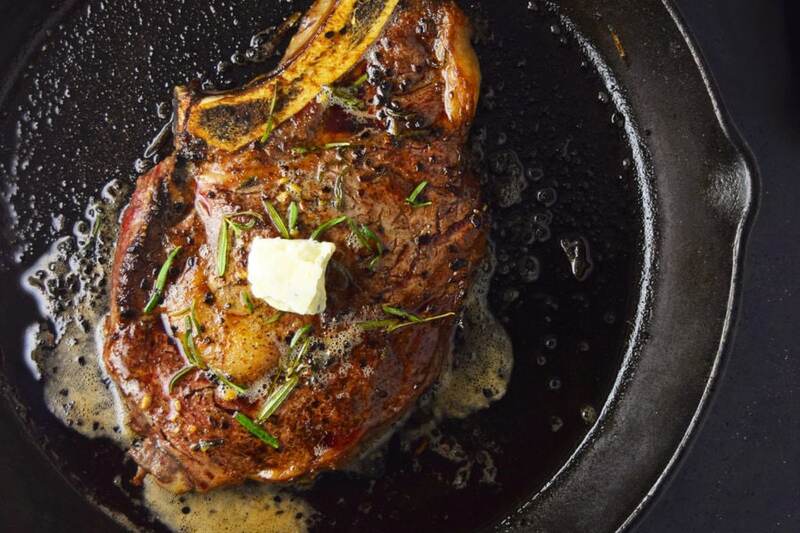 Transfer your skillet directly to the oven. [WARNING] skillet may be hot, handle with oven mitts. For rare, bake for 4-5 minutes. 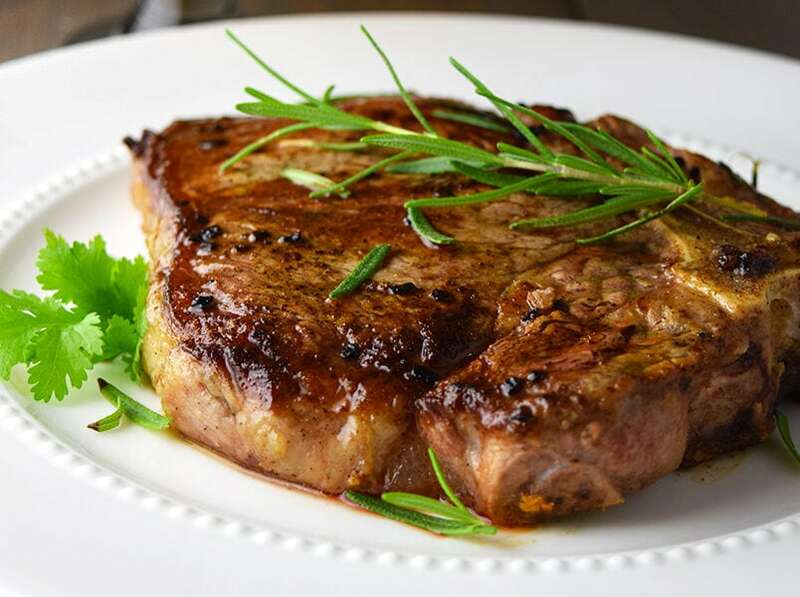 Medium rare, 5-6 minutes. Medium, 6-7 minutes. Remember, depending on the thickness/size of the steak, the more or less time it may take. 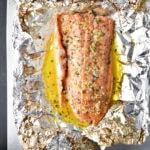 This recipe is ideal for a 6-8 ounce portion, roughly 2-3 inches thick. 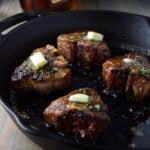 Remove filets from the skillet and set on a plate, Let sit for 5 minutes before serving. 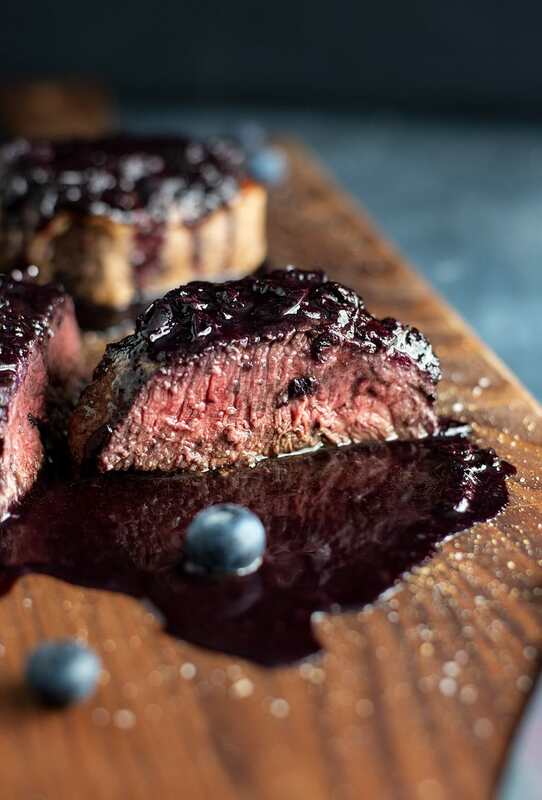 Serve each filet topped with 3-4 tablespoons of blueberry sauce.